"Goat Yoga," the latest fitness craze sweeping the United States, where young and old are lining up for the popular classes. 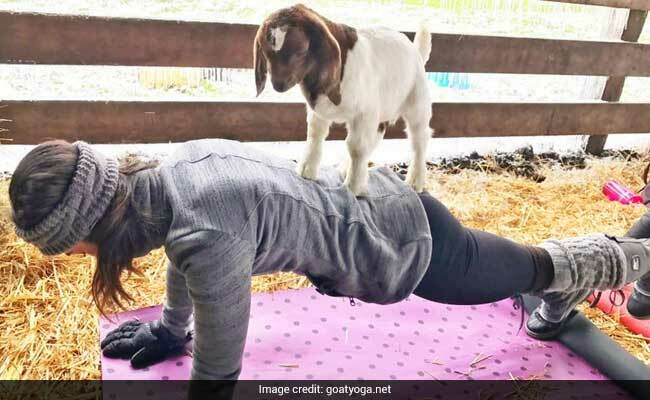 Adonna Ebrahimi is stretched out on her yoga mat, struggling to maintain a cobra pose and her composure -- as a couple of baby goats do a balancing act on her back. 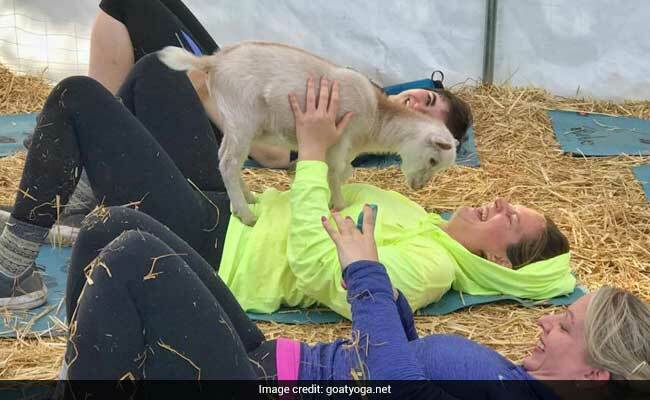 Welcome to "Goat Yoga," the latest fitness craze sweeping the United States, where young and old are lining up for the popular classes that leave participants not only saying "namaste" but also in stitches. "But then they were there and you felt the warmth of the animal and you're on the straw, in the sun, with the trees and the blue skies around you, and it just felt so calming and peaceful." Some 20 people and 15 goats -- 11 kids and four moms took part in the class that was organized outdoors in a pen covered with straw. As yoga instructor Meridith Lana encouraged participants to "exhale," "pull your navel to your spine" or "watch your posture," the sound of bleating reverberated in the background, the nimble animals skipping about, jumping on people's backs, munching on their hair or a beard and licking their faces. "We didn't know how it was going to go but it's taken off, we're booked solid," she said. "People love it. They decompress, they cuddle the goats and relax." 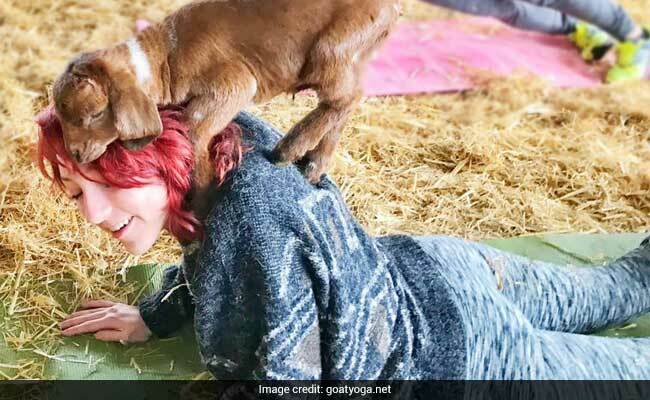 Imagine That Asana With Goats On Your Back. This Is Latest Yoga Craze.